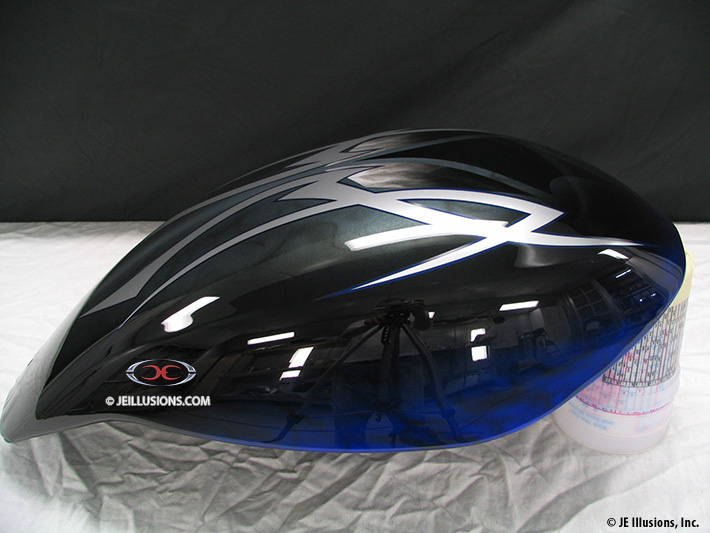 Ultra jet black on top that has royal blue smoke effects blending in from the bottom of tank and fender edges. On top of this is a simple blue pin-striped blade design with the fill done in a silver. 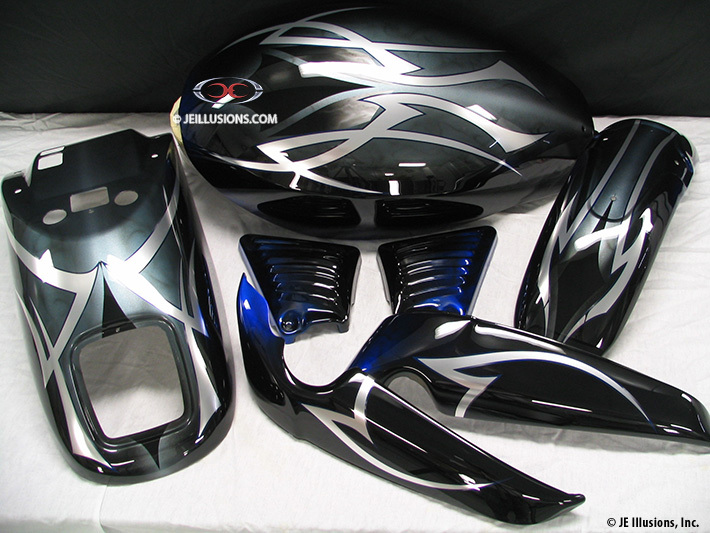 Under the blade design running down the middle of the tank and fenders, is our air-brushed marbling technique done in a toned down silver that compliments the blade design. A second set was done in red.